Only rarely does an astronomical object have a political association. 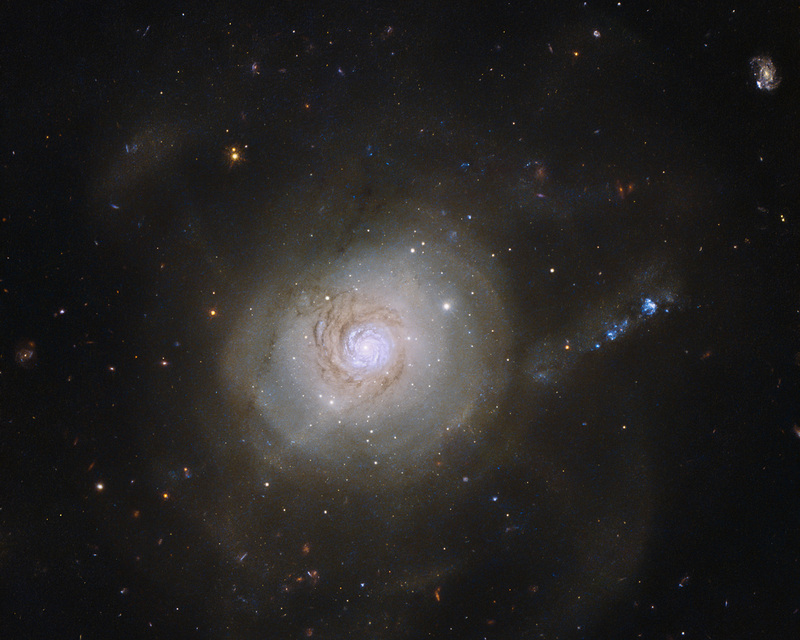 However, the spiral galaxy NGC 7252 acquired exactly that when it was given an unusual nickname. In December 1953, the US President Dwight D. Eisenhower gave a speech advocating the use of nuclear power for peaceful purposes. 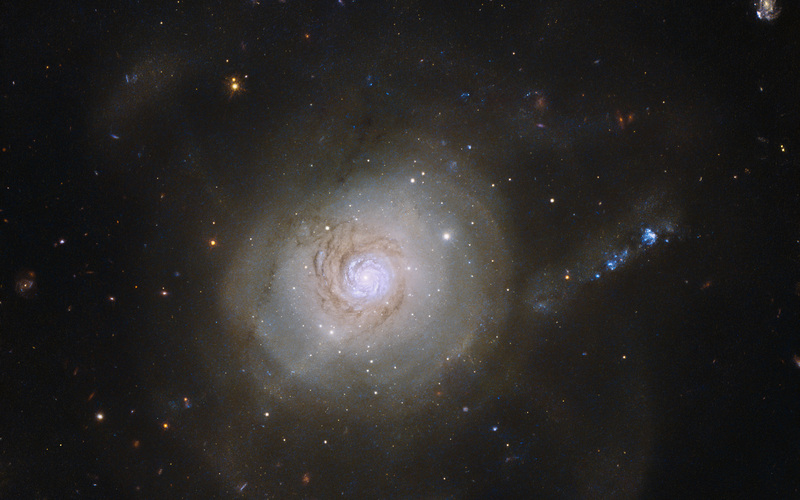 This “Atoms for Peace” speech was significant for the scientific community, as it brought nuclear research into the public domain, and NGC 7252, which has a superficial resemblance to an atomic nucleus surrounded by the loops of electronic orbits, was dubbed the Atoms for Peace galaxy in honour of this. These loops are well visible in a wider field of view image. This nickname is quite ironic, as the galaxy’s past was anything but peaceful. 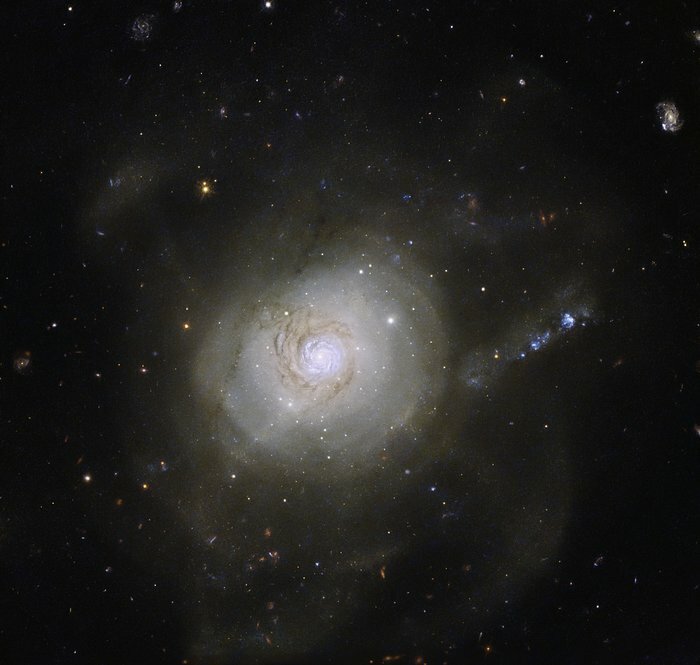 Its peculiar appearance is the result of a collision between two galaxies that took place about a billion years ago, which ripped both galaxies apart. The loop-like outer structures, likely made up of dust and stars flung outwards by the crash, but recalling orbiting electrons in an atom, are partly responsible for the galaxy’s nickname. This NASA/ESA Hubble Space Telescope image shows the inner parts of the galaxy, revealing a pinwheel-shaped disc that is rotating in a direction opposite to the rest of the galaxy. This disc resembles a spiral galaxy like our own galaxy, the Milky Way, but is only about 10 000 light-years across — about a tenth of the size of the Milky Way. It is believed that this whirling structure is a remnant of the galactic collision. 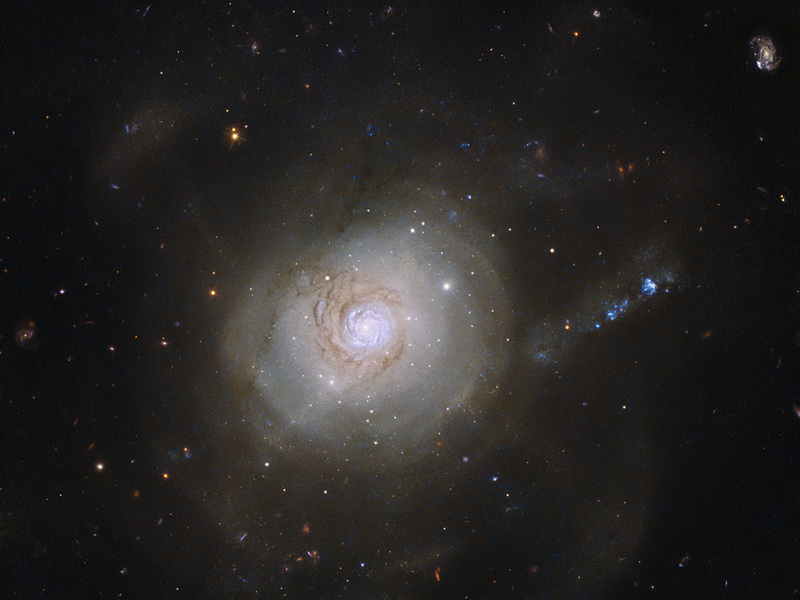 It will most likely have vanished in a few billion years’ time, when NGC 7252 will have completed its merging process. Position (Dec): -24° 40' 41.50"